Nobody likes losing things, and when you lose something on vacation it can leave a damper on what might have otherwise been a pretty spectacular day. The Walt Disney World Resort has millions of visitors a year and as you can imagine, they also have lots of items that wind up lost, misplaced, and accidentally left behind. So, what should you do if that's you? 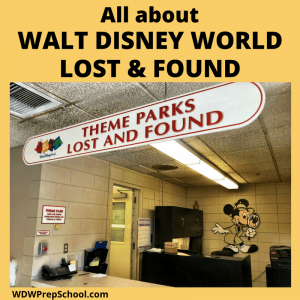 Here's what you need to know about the Disney World Lost and Found. How long are things held for? First - and we know this is easier said than done (especially if you lose something of high personal or monetary value) - try not to panic. That's a lot of items! What you lost and when you lost it can help you know what steps to take next. 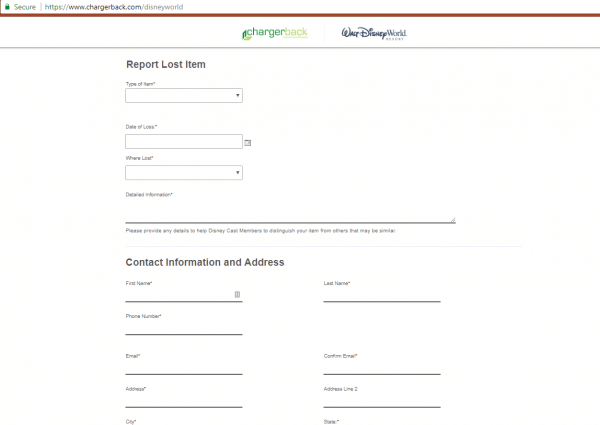 How you locate lost items at Disney World looks a lot different than it has in the past. Make sure you are as specific as possible when making a report. "Black sunglasses" means nothing when 500 pairs of black sunglasses are sitting on the shelves. Instead, try to remember any identifying marks and be sure to note those on your report. Receive email notification that your claim was recieved. This email notificaiton will also have your claim number in case you need to contact Disney again. Wait. Just like with the old process, it can take up to 48 hours for your item to be cataloged and processed. 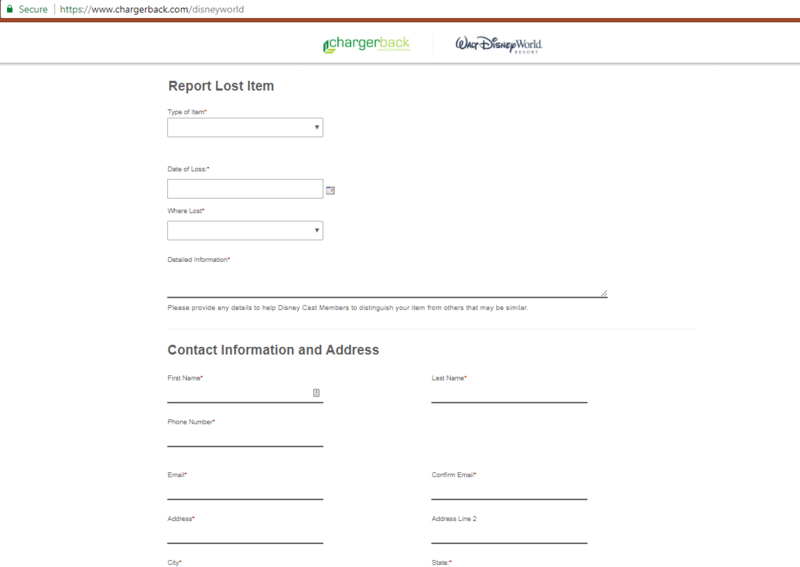 Once about 48 hours has passed Disney will begin sending you status updates through email about your lost item. No longer will you have to stand in line to report your item missing - which is a very nice perk considering just how many items get lost each day. This may sound basic, but try to retrace your steps. Did you set something down in a bathroom stall? On a bench? In a restaurant? Head back to the last place you saw the item and check to see if it is still there. Sometimes you will get lucky and you'll spot it in the same place you left it. If you don't immediately see it, ask a nearby Cast Member if anybody has turned anything in. This has happened to us more than once. We jump off of an attraction, all pumped from the ride and then realize we left something in our seat. If this is you, find the closest Cast Member to that attraction and explain the situation. Most of the times they will direct you to the exit where the Cast Member there will show you to a safe spot to wait. Disney operates every attraction with guest safety in the forefront so please do not approach any ride vehicles on your own. If you lost your item in any of the Disney World theme parks (Magic Kingdom, Epcot, Animal Kingdom, Hollywood Studios) and you weren't immediately able to reconnect with it at the park, your item will be moved to a central location in a building at the Transportation and Ticket Center. Before the new procedures were in place you would have needed to phone or visit this location in order to report an item lost. However, now you can do all that via the online Lost and Found Report Form. Think of this building as kind of a mini-warehouse of lost things. If you have a car, there is a small parking lot right outside the building where you can park. Otherwise, you can use Disney transportation to get to the Transportation and Ticket Center (TTC). If you have any questions after you have completed the form to report your item lost, you you can give Lost and Found a call. Items get lost at the hotels, too. If you lose something there, the item will be turned into your resort's Lobby Concierge. Sometimes when Mousekeeping pulls sheets or towels for washing, items can get caught up and accidentally stuck with the dirty laundry. If you suspect this has happened, speak with the front desk to get connected to the Mousekeeping Manager for assistance. If in all the excitement of heading to Disney World or the sadness of heading home you accidentally leave something on Magical Express, you can call (866) 599-0951 (if the item has been lost for 30 minutes or less) or (407) 423-5566 (if it has been longer than 30 minutes). Items that are of high value (so things like wallets, cameras, cell phones, etc.) are held for 90 days, and items that are of lesser value (sunglasses, hats, clothes, etc.) are held for 30 days. Thousands of strollers are brought into the parks each and every day. If you park your stroller outside of an attraction, you may be surprised when you come out to find your stroller missing. But don't worry because it probably isn't lost (or worse, stolen) at all. To keep walkways clear and to make room for all the strollers being parked (and picked up), there are Cast Members whose jobs are to constantly be rearranging strollers so that they stay neat and orderly. That means your stroller might find its way a few aisles over. Since the potential for your stroller to be moved is high, adding things to your stroller to make it look different can help you spot it in a sea of similar carriages. If you lose a MagicBand, you should deactivate it as soon as possible on your My Disney Experience app or by visiting the nearest Guest Relations. Since purchases must be confirmed with an individualized PIN number, your account information is all secure even if somebody were to find your MagicBand and try to use it. Take pictures. Pictures makes identifying items that are yours a lot easier. Even being proactive and taking pictures of your luggage (and the contents of your luggage) can help you if an airline loses your bags. Pictures of your tickets or important travel documents can also come in handy. Label your belongings. There are lots of different ways to do this but even something as little as adding a business card inside of a backpack or purse can be the difference between your bag making it back to you within a few hours vs. a few days. Use technology to your advantage. Make your lockscreen on your phone a picture of your contact information (something other than your cell phone number, of course). You can do the same thing with a camera - make one of the images your contact info. Many cell phones have handy built in features that can help you locate them. For example, Apple's Find my iPhone can help you pinpoint a general location for your phone but you'll need to make sure you have it all set up BEFORE you need it. Don't take anything that is irreplaceable. This one can be tough (especially if you have a child that has a special toy or blanket) but whenever possible, don't take anything that you can't replace. Check the beds. Since it is easy for items to get lost in the sheets, a quick check in the mornings for anything caught in the blankets before you leave can save a lot of frustration and possibly even heartache. 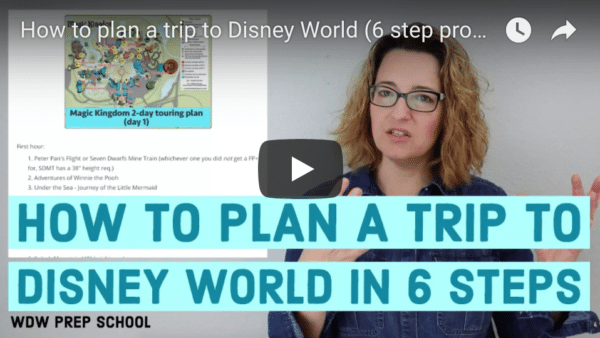 Have some of your own tips to help with Disney World Lost and Found? Tell us about them in the comments below! Just want to thank Disney Lost and Found for returning my shoulder pack lost at the Magic Kingdom. I was very fortunate that everything in the bag was recovered. THANK YOU THANK YOU THANK YOU. I am disabled and use a scooter. In 2016, the fireworks were just starting and I am watching when a young woman who was looking backwards at the fireworks plowed into me and my scooter went tipping over with me on it. Needless to say I was pretty shook up and very thankful to the family that I was falling into for helping me (the girl never stopped). After the fireworks I had a reservation at Tony’s. When I got there I discovered that my magicband was gone. I had to get it replaced asap since I not only couldn’t eat, I couldn’t get into my room. Luckily I only had to go across Town Square and they were so nice about replacing it right away. Hi! I’d love if you could elaborate more about the resort procedures with lost and found. Sadly we look a very precious stuffed animal with us last week and it was left in the bed sheets. It took a lot of calls and speaking to different people, but I got more clarity in the procedures and protocol. It does happen ALOT according to the cast members and they have a detailed procedure even for this case. I can elaborate via email if you’re interested. It would have been comforting to see the info I received in your blog without needing to obtain it over several days and many calls. Just an update-we lost a hat and were directed by multiple people to the TTC and the location of Lost & Found had moved the day before to Disney Springs. Unfortunately, the people who work at TTC in various capacities were not aware of this move (occurred May 19) and we trekked over there in the pouring rain. Just a head’s up for others! On our 1st trip we wasted a WHOLE lot of time trying to find a small sword by retracing our steps and going to lost and found. We did get it back, but after we got home I realized that it was such an inexpensive souvenir (I was shocked how cheap it was at the time of purchase) the smart thing to do would have been to just go buy a new one. Lesson learned on priorities. Great info! I lost a water bottle last May and they have a policy for items that touch your mouth. I forget if they throw it away immediately, or if they only hold it for the day or don’t transport it or something. But my bottle was a loss. Knowing that would have saved me a lot of trouble that day. And having an app or an online system would save us even more time! Thanks!